Some of the best jobs don’t require a university degree. 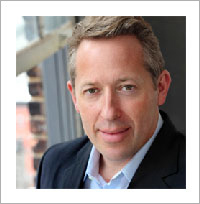 Companies often struggle to find employees with the right skills. Even though unemployment is high and you may be struggling to get an interview, the good news is that there are still opportunities for a rewarding and well-paid career. These opportunities can’t be found inside a traditional classroom, but rather in the educational options that provide the technical, vocational and soft skills that companies actually need. These include professional certifications, associate degrees, apprenticeships, and occupational learning. 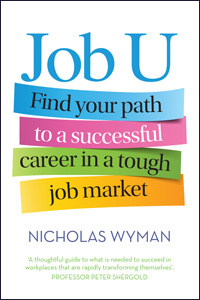 In Job U Australian workforce skills expert Nicholas Wyman shows how to find these non-traditional pathways and get your dream job. Along the way you’ll meet people of all ages who have done just that: from an emergency air paramedic, to a lead racing car mechanic, to a celebrity chef. If you are considering tertiary education, or if you are looking for a new career, Job U is your ticket to a secure and prosperous future. Job U will be available from all bookshops in Australia and New Zealand, and from all major ebook retailers like Kindle, Kobo, Google and Apple’s iBookstore.